With a focus on charming style and convenience, you can't go wrong with this relaxed vintage seven piece table and chair set. The two-tone finish is captured by using a combination of Oak and Acacia for an eye-catching contrast. Each chair has an upholstered seat and two feature an upholstered back for added comfort. This table offers six convenient drawers for storing small dining room items. The Bolanburg Relaxed Vintage 7-Piece Table and Chair Set by Signature Design by Ashley at Miskelly Furniture in the Jackson, Pearl, Madison, Ridgeland, Flowood Mississippi area. Product availability may vary. Contact us for the most current availability on this product. 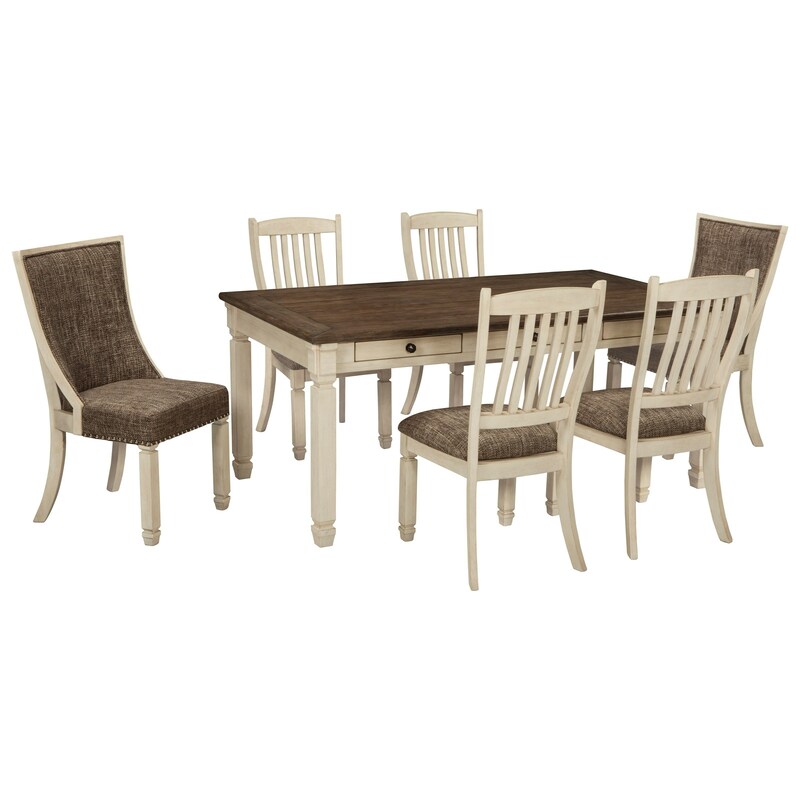 Create an inviting space in your home with the addition of this charming dining collection. The two-tone finish of these pieces creates a beautiful contrast between the antique and weathered oak finishes. The availability of a variety of seating options allows you to mix and match pieces to fit the needs of you and your family. Sufficient storage space in the server, display cabinet, and table will give you a home for all of your dining room items. Each chair is upholstered as well, providing comfort for years to come. 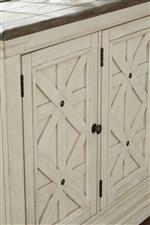 The Bolanburg collection is a great option if you are looking for Relaxed Vintage Cottage Coastal furniture in the Jackson, Pearl, Madison, Ridgeland, Flowood Mississippi area. Browse other items in the Bolanburg collection from Miskelly Furniture in the Jackson, Pearl, Madison, Ridgeland, Flowood Mississippi area.